Start your weekend with a warm cup of tea and surround yourself with beautiful blooms as we go hands on creating flower arrangements in a teapot. We’ve curated flowers and leaves with scents inspired by tea blends for this morning’s workshop. Learn about proportion, contrast and striking the right balance to curate the perfect classic arrangements in a teapot for your homes. All materials will be provided. Fee includes a The 1872 Clipper Tea Co. teapot, selection of flowers for your very own teapot arrangement and a complimentary cup of tea from the Teapitiam. Seats are limited and entry is on a registration basis. For enquiries, please contact thebotanistandherthieves@gmail.com. 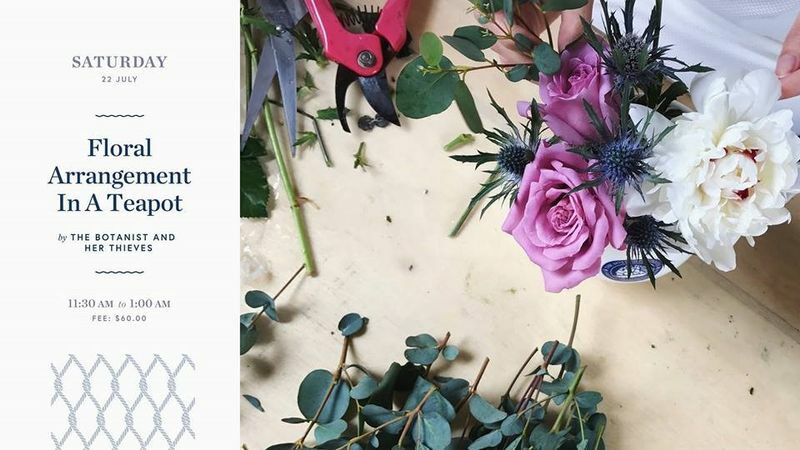 Join @TheBotanistandHerThieves at our workshop, or inquire about hosting a private workshop of your very own!